YESHIVAH’S senior rabbi allegedly told a congregant this week that he had no right to contact police without permission from a rabbi. 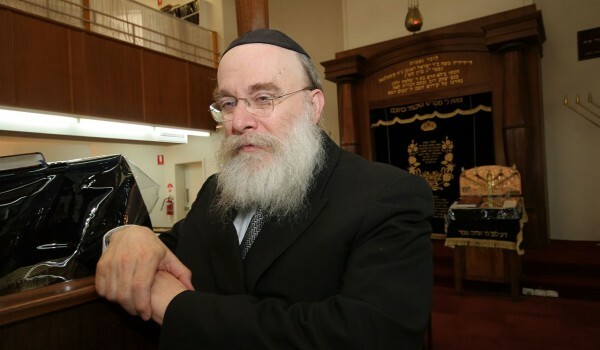 The congregant, who was a victim of child sexual abuse, has filed a claim against the Yeshivah Centre and Rabbi Zvi Hirsch Telsner with the Victorian Equal Opportunity and Human Right Commission (VEOHRC). The victim, who has been the subject of bullying and intimidation because he came forward to police, was granted an Interim Intervention Order (IIO) against someone within the Yeshivah Centre community. On Monday, he told Rabbi Telsner about the IIO so that it could be enforced in synagogue. “Rabbi Telsner then asked the applicant (victim) whether he had sought and received permission from a rabbi to have the order granted by the court,” the victim said in a statement to the VEOHRC. “The applicant advised Rabbi Telsner that the application had been done in conjunction with Victoria Police and was a subject to ‘dinei nefoshos’ (laws of life/death/wellbeing). The Yeshivah Centre was made aware of the complaint by The AJN on Tuesday when approached for comment. However, on Wednesday, despite having been provided with the details, the centre denied knowing anything about it, stating: “The Yeshivah Centre is not aware of a complaint. The response from Yeshivah comes the same week that Philip Dalidakis, Southern Metropolitan Member of the Victorian Legislative Council, called on the Prime Minister and Premier to step in and make the school more accountable. He asked that government funding be contingent on the resignation of all leaders who helped cover up abuse, the production of all reports, letters and emails relevant to the concealment of abuse, the implementation of clear, specific and enforceable rules for managements and the establishment of a fund to compensate victims. Dalidakis told The AJN he first contacted Yeshivah’s leadership privately on February 20 to seek changes, but said he was “fobbed off” with a “disappointing” response.